There has been significant research into a new therapy for rheumatoid arthritis and it has shown it has the potential to treat patients who have been non-responsive or had no positive reaction to other types of therapy and treatment. 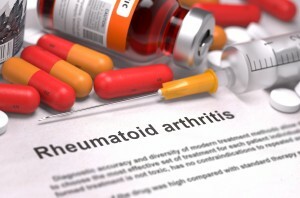 The new drug which is called baricitinib is currently just at the clinical testing phase of its development but if it were to be approved it could provide a valuable and much-needed treatment alternative for people diagnosed with refractory rheumatoid arthritis as at present, there are very few treatment options available. This new drug, baricitinib, has been tested in a Phase III Clinical Trial by a partnership from Stanford University in the States and the Medical University of Vienna, Austria. The trial was to test the drug’s effectiveness in treating patients who had not benefitted from other regular treatment options such as anti-tumour necrosis factor (Anti-TNF) drugs. Baricitinib actually belongs to a brand new category of drugs and they function by interfering directly with the intracellular enzymes which play a role in signalling processes in the body which lead to inflammation. The study carried out involved 527 patients who were randomly assigned one of three different groups and each of these groups received a once daily regimen of two or four milligram doses of baricitinib or a placebo for a period of 24 weeks. The results of this study were published in the New England Journal of Medicine and they found that 55% of all the patients assigned the higher dose of baricitinib experienced a reduction of 20% or more in the number of their affected joints in the 12 weeks of the treatment. For the patients on a lower dose 49% also found a similar reduction but only 27% of those taking the placebo experienced the same effect. The results also found that baricitinib improved the physical function of the patients and reduced inflammation both in their own right and also in comparison with the placebo. These improvements continued to remain the case for the full 24 weeks of therapy. As mentioned this drug is still at the clinical trial stage but results so far are proving positive and if it does make it through all the trials it appears to be a therapy option which could make a real difference. To make an appointment with Dr Stephanie Barrett please get in touch.